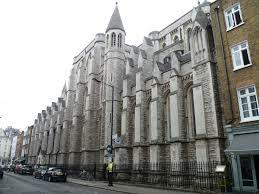 Catholic Church in England History of the church of England: The Roman Catholic Church is part of the Christian Church ruled by the Bishop of Rome (the Pope). In the early Church, the papacy exercised authority over all Christians. Church of England History, St Paul’s Cathedral In about 575 a monk called Gregory saw some young men in the Rome slave-market. He spoke to them and discovered that these men were from England. After talking to these slaves he was shocked to discover that there were very few Christians living in England. Gregory was determined to change this situation and when he became Pope he sent his friend Augustine and forty monks to England to convert the inhabitants to Christianity. Augustine arrived in England in 596. He made his way to Canterbury, the home of King Ethelbert. Within a few weeks, Augustine had converted Ethelbert and most of his household to Christianity. Pleased by his success, the following year Pope Gregory appointed Augustine as Bishop of Canterbury, and Archbishop of the English people. William the Conqueror was a devout Christian. 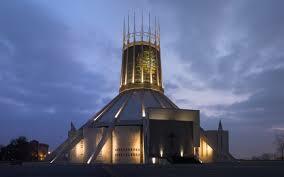 After he conquered the country he did what he could to spread the Christian religion in England. William accepted that the Archbishop of Canterbury was the leader of the Christian Church in England, but was determined that this post should come under his control. In 1070 Lanfranc, a monk from Caen in Normandy, and one of William’s friends replaced Stigand as Archbishop of Canterbury. Over the next few years, he rebuilt Canterbury Cathedral on the model of St. Stephen’s in Caen. Lanfranc was unimpressed with the quality of the English clergy and during William’s reign supported his policy of promoting foreigners to high office in the Church. Lanfranc also ordered that in future no married man was to be ordained as a priest. However, he allowed existing priests to keep their wives. When Henry II became king in 1154, he asked Archbishop Theobald for advice on choosing his government ministers. On the suggestion of Theobald, Henry appointed Thomas Becket as his chancellor. Becket’s job was an important one as it involved the distribution of royal charters, writs, and letters. The king and Becket soon became close friends. Becket carried out many tasks for Henry II including leading the English army into battle. In 1162, Henry II chose Thomas Becket as his next Archbishop of Canterbury. The decision angered many leading churchmen. They pointed out that Becket had never been a priest, had a reputation as a cruel military commander and was very materialistic (Becket loved expensive food, wine, and clothes). They also feared that as Becket was a close friend of Henry II, he would not be an independent leader of the church. After being appointed Thomas Becket began to show a concern for the poor. Every morning thirteen poor people were brought to his home. After washing their feet Becket served them a meal. He also gave each one of them four silver pennies. Instead of wearing expensive clothes, Becket now wore a simple monastic habit. As a penance (punishment for previous sins) he slept on a cold stone floor, wore a tight-fitting hairshirt that was infested with fleas and was scourged (whipped) daily by his monks. In 1163, after a long spell in France, Henry II arrived back in England. Henry was told that, while he had been away, there had been a dramatic increase in serious crime. 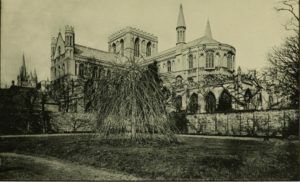 The king’s officials claimed that over a hundred murderers had escaped their proper punishment because they had claimed their right to be tried in church courts. Those that had sought the privilege of a trial in a Church court were not exclusively clergymen. Any man who had been trained by the church could choose to be tried by a church court. Even clerks who had been taught to read and write by the Church but had not gone on to become priests had a right to a Church court trial. This was to an offender’s advantage, as church courts could not impose punishments that involved violence such as execution or mutilation. There were several examples of clergy found guilty of murder or robbery who only received “spiritual” punishments, such as suspension from office or banishment from the altar. The king decided that clergymen found guilty of serious crimes should be handed over to his courts. At first, the Archbishop agreed with Henry on this issue but after talking to other church leaders Thomas Becket changed his mind. Henry was furious when Becket began to assert that the church should retain control of punishing its own clergy. The king believed that Becket had betrayed him and was determined to obtain revenge. 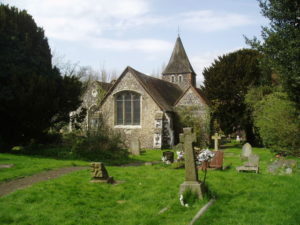 In 1164, the Archbishop of Canterbury was involved in a dispute over land. Henry ordered Becket to appear before his courts. When Becket refused, the king confiscated his property. Henry also claimed that Becket had stolen £300 from government funds when he had been Chancellor. Becket denied the charge but, so that the matter could be settled quickly, he offered to repay the money. 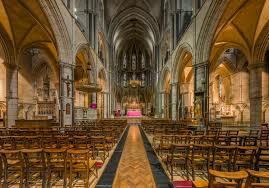 Henry refused to accept Becket’s offer and insisted that the Archbishop should stand trial. When Henry mentioned other charges, including treason, Becket decided to run away to France. Thomas Becket eventually agreed to return to England. However, as soon as he arrived on English soil, he excommunicated (expelled from the Christian Church) the Archbishop of York and other leading churchmen who had supported Henry while he was away. Henry, who was in Normandy at the time, was furious when he heard the news and supposedly shouted out: “Will no one rid me of this turbulent priest?” Four of Henry’s knights, Hugh de Morville, William de Tracy, Reginald Fitz Urse, and Richard Ie Bret, who heard Henry’s angry outburst decided to travel to England to see Becket. On the way to Canterbury, the four knights stopped at Bletchingley Castle to see Roger of Clare. When the knights arrived at Canterbury Cathedral on 29th December 1170, they demanded that Becket pardon the men he had excommunicated. When Becket refused, they hacked him to death with their swords. 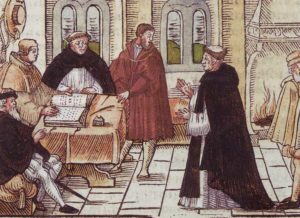 In 1517 a monk named Martin Luther from Wittenburg in Germany began to criticise the power and corruption of the Pope and the Catholic church. He attacked the Pope for pardoning people’s sins in exchange for money. Luther thought that it was immoral for the Pope’s agents (pardoners) to travel all over Europe selling these letters of indulgence. 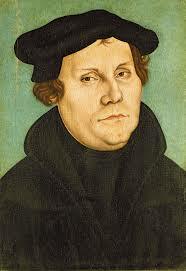 Luther also criticised the Pope for not allowing the Bible to be translated into other languages. Luther argued that as the vast majority of people could not read Latin they had to rely on what the priest told them was in the Bible. Luther was very angry that Pope Leo X was raising money in this way. He believed that it was wrong for people to be able to buy forgiveness for sins they had committed. Luther decided to write down his views on the subject. He then nailed the paper to the door of the church in Wittenberg. Luther’s views on the Church were not new. In the 14th century, John Wycliffe and his Lollard followers had said similar things in England. However, with the help of the English monarchy, the Lollard movement had been crushed by the Pope and the Catholic church. Pope Leo X now ordered Martin Luther to stop stirring up trouble. This attempt to keep Luther quiet had the opposite effect. Luther now started issuing statements about other issues. For example, at that time people believed that the Pope was infallible (incapable of error). However, Luther was convinced that Leo X was wrong to sell indulgences. Therefore, Luther argued, the Pope could not possibly be infallible. If the Pope could be wrong about indulgences, Luther argued he could be wrong about other things. For hundreds of years, popes had only allowed Bibles to be printed in Latin or Greek. Luther pointed out that only a minority of people in Germany could read these languages. Therefore to find out what was in the Bible they had to rely on priests who could read and speak Latin or Greek. Luther, on the other hand, wanted people to read the Bible for themselves. In 1521 orders were given for Luther to be arrested. However, Luther had many supporters in Germany and some of these people helped to save his life by hiding him in a castle. While Luther was there he translated the Bible into German. It was not long before copies of Luther’s Bible were being read by people all over Germany. Martin Luther was more successful than John Wycliffe in gaining support for reforming the Church. 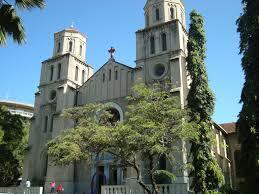 His supporters, because they were protesting against the way the Church was governed, became known as Protestants. Luther’s ideas also spread to other countries. 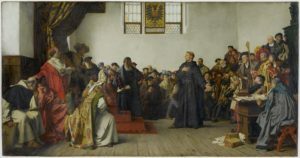 Gradually large numbers of people living in England, the Netherlands (today called Holland and Belgium), Switzerland and the Scandinavian countries began to call themselves Lutherans or Protestants. Protestants were no longer willing to accept the authority of the Pope. They argued that people needed to read the Bible if they wanted to find out how God wanted them to behave. Henry VIII initially disagreed with Luther’s views. Henry feared that criticism of the Church might encourage people to criticise the monarchy. At the time, it was believed that Wycliffe’s attacks on the Pope had been partly responsible for the Peasants’ Revolt in 1381. In 1521 Henry wrote a book attacking Luther’s views on the Church. The Pope was so pleased with Henry’s loyalty that he gave him the title ‘Defender of the Faith’. Henry’s opinions about the power of the Pope changed after he was denied permission to divorce Catherine of Aragon. In 1534, Henry made himself head of the Church in England in place of the Pope. Although Henry continued to persecute English Protestants, he was now also hostile to those who remained loyal to the Pope. Henry VIII was particularly worried that he did not have the full support of the monks and nuns in England. 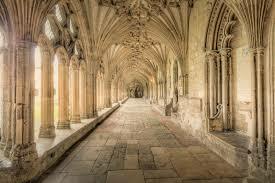 In 1535 Henry began arresting monks for high treason. As a warning to others, five monks were publicly tortured before being beheaded. Later that year others were executed, together with several nuns. In 1536 Henry gave permission for an English translation of the Bible to be published in England. He also ordered that a copy of this Bible should be placed in every church in his kingdom. Henry still considered himself to be a Catholic Church, but by taking this action, he began to move the Church in the direction of Protestantism. When Henry VIII died in 1547. Edward was too young to rule, so his uncle, Edward Seymour, Duke of Somerset, took over the running of the country. The Duke of Somerset was a Protestant and he soon began to make changes to the Church of England. This included the introduction of an English Prayer Book and the decision to allow members of the clergy to get married. Attempts were made to destroy those aspects of religion that were associated with the Catholic church, for example, the removal of stained-glass windows in churches and the destruction of religious wall-paintings. Edward VI was suffering from tuberculosis and as his health deteriorated suddenly, and John Dudley, Duke of Northumberland, tried to persuade the king to alter the succession in favor of his own daughter-in-law, Lady Jane Grey. Jane Grey was declared queen three days after Edward’s death. However, she was forced to abdicate nine days later in favor of Edward’s half-sister, Mary I. Queen Mary, who had been brought up as a Roman Catholic Church, now declared that the Pope was the only true head of the Church. This was followed by the execution of Thomas Cranmer, the archbishop of Canterbury and other Protestants who refused to accept the Pope as head of the Church. People were also punished if they were found reading bibles that had been printed in the English language. However, the most common cause of heresy concerned something called transubstantiation. Catholics believed that the bread and wine used at communion became the body and blood of Jesus Christ. Protestants who refused to believe this miracle happened during communion were in danger of being executed. When Elizabeth became queen some of her ministers wanted her to execute Catholics who refused to accept Protestant beliefs. Elizabeth refused and was only willing to execute heretics who tried to overthrow her. This included Mary, Queen of Scots. Elizabeth I died in 1603 without children. Mary, Queen of Scots’ son, was next in line to the throne. As James was a Protestant, Parliament was also in favor of him becoming king. The Roman Catholic Church in England were upset that there was going to be another Protestant monarch. They also became very angry when James passed a law that imposed heavy fines on people who did not attend Protestant church services. In May 1604, Robert Catesby devised the Gunpowder Plot, a scheme to kill James and as many Members of Parliament as possible. At a meeting at the Duck and Drake Inn Catesby explained his plan to Guy Fawkes, Thomas Percy, John Wright and Thomas Wintour. All the men agreed under oath to join the conspiracy. Over the next few months Francis Tresham, Everard Digby, Robert Wintour, Thomas Bates and Christopher Wright also agreed to take part in the overthrow of the king. After the death of James in the explosion, Robert Catesby planned to make the king’s young daughter, Elizabeth, queen. In time, Catesby hoped to arrange Elizabeth’s marriage to a Catholic nobleman. It was Everard Digby’s task to kidnap Princess Elizabeth from Coombe Abbey. Catesby’s plan involved blowing up the Houses of Parliament on 5 November. This date was chosen because the king was due to open Parliament on that day. At first, the group tried to tunnel under Parliament. This plan changed when Thomas Percy was able to hire a cellar under the House of Lords. The plotters then filled the cellar with barrels of gunpowder. Guy Fawkes, because of his munitions experience in the Netherlands, was given the task of creating the explosion. Francis Tresham was worried that the explosion would kill his friend and brother-in-law, Lord Monteagle. On 26th October, Tresham sent Lord Monteagle a letter warning him not to attend Parliament on 5th November. Lord Monteagle became suspicious and passed the letter to Robert Cecil, the king’s chief minister. Cecil quickly organized a thorough search of the Houses of Parliament. While searching the cellars below the House of Lords they found the gunpowder and Guy Fawkes, one of the men involved in the plot. He was tortured and he eventually gave the names of his fellow conspirators. The conspirators left London and agreed to meet at Holbeche House in Staffordshire. News of their hiding place reached the Sheriff of Worcester and on 8th November the house was surrounded by troops. The men refused to surrender and gunfire broke out. Over the next few minutes, Robert Catesby, Thomas Percy, Christopher Wright and John Wright were killed. Everard Digby was the only one of the conspirators to plead guilty. He gave several reasons for his involvement in the Gunpowder Plot. This included his Roman Catholic beliefs, his friendship with Robert Catesby and the king’s broken promises in regard to religious toleration. Francis Tresham was arrested on 12th November. In the Tower of London, he wrote a full confession about his involvement in the Gunpowder Plot. However, many people believed he was working as a double agent for Robert Cecil. Everard Digby, Robert Wintour, and Thomas Bates were executed on 30th January 1606. Digby was hanged for only a short period and was still alive when he was disemboweled. The following day Guy Fawkes and Thomas Wintour were hanged, drawn and quartered. In recent years some historians have begun to question the traditional story of the Gunpowder Plot. Some have argued that the conspiracy was really devised by Robert Cecil and Lord Monteagle. This version claims that Cecil blackmailed Robert Catesby into organizing the plot. 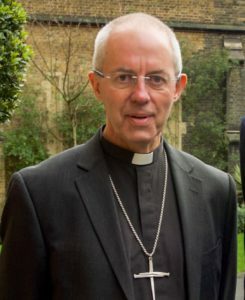 It is argued that Cecil’s aim was to make people in England hate Catholics. For example, people were so angry after they found out about the plot, that they agreed to Cecil’s plans to pass a series of laws persecuting Catholics. It has also been pointed out that James I gave Lord Monteagle an annuity of £500 for life, plus lands worth a further £200 per year. Rumors soon began circulating that Monteagle had arranged for Francis Tresham to be poisoned while being held captive in the Tower of London. When James I died in 1625, his son Charles I became king. William Laud became the king’s main adviser. Laud argued that the king ruled by Divine Right. He claimed that the king had been appointed by God and people who disagreed with him were bad Christians. Laud believed that Church reforms had gone too far. Anglicans tended to support the policies of Laud but the Puritans strongly disagreed with him. Laud now drew up a list of Puritan ministers who were then persecuted. Freedom of worship was withdrawn from Protestant refugees living in Britain. When Laud gave instructions that the wooden communion tables in churches should be replaced by stone altars, Puritans accused Laud of trying to reintroduce Catholicism. 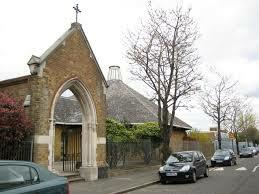 At the end of the 18th century, the Roman Catholic Church in England was very small. After two centuries of persecution, it was estimated that membership had fallen to about 100,000. 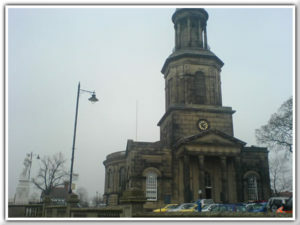 The achievement of Catholic Emancipation in 1829 helped to revive the church. Irish immigration increased Roman Catholic membership to 250,000 in 1840. The numbers of Catholics arriving increased rapidly during the Irish famine of 1845. Most of the new immigrants were extremely poor and the Roman Catholic Church became very involved in charity work. In 1865 Henry Edward Manning became the leader of the Catholic Church in England. Active in social reform, Manning won the respect of working-class Catholics and the church continued to grow during the rest of the century.